We all need help sometimes and it’s reassuring to know that when you do there is someone to turn to. At Keep It Simple Software we know that when you’re just trying to run your business IT issues can be frustrating, that’s why we’ve developed some simple support packages that can provide backup when you need it most. We cover most major software packages and can offer one source of support where we deal with your issues, leaving you time to run your business while keeping complete control of your IT costs. We’ve developed packages to suit a wide range of requirements but please feel free to contact us to discuss your needs, our custom support plans can offer you a best fit for your business. Purchase support units which can be used as and when you need help. 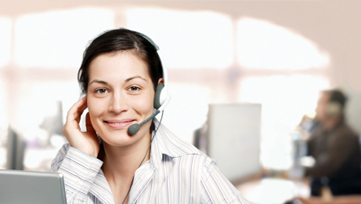 Support is delivered by phone and email and remote access assistance is included. Units are used at the rate of 1 unit per minute and are valid for 12 months from date of purchase. Minimum purchase 100 units. This is fixed cost contract paid monthly. It includes 500 units of support which is delivered by phone, email and remote access. This is minimum 3 month contract. This is fixed cost contract paid monthly. It includes 500 units of support which is delivered by phone, email and remote access. It also includes one site visit per month. This is minimum 3 month contract. This is a fixed cost contract paid monthly but delivers support in the best way for you. Units and on site days are agreed at the beginning of the contract and can be adjusted every three months. This is a minimum 3 month contract. Does your business need ERP Support?